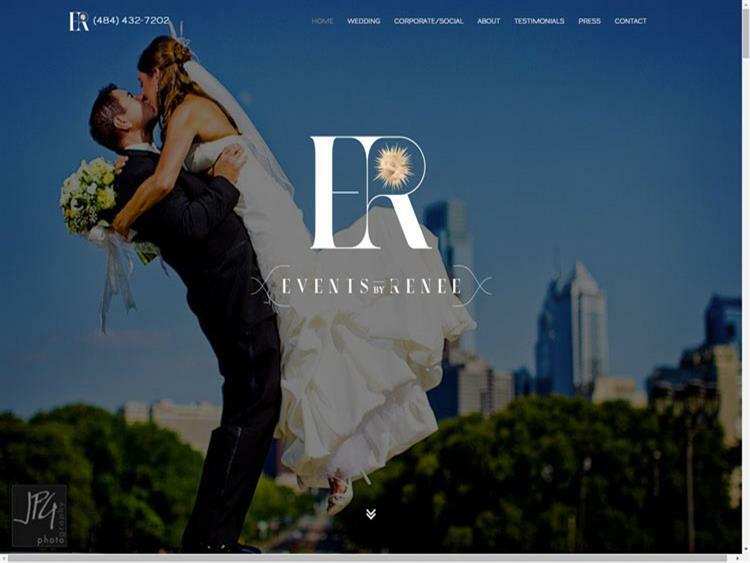 Events By Renee is a wedding planning company who has a national presence. 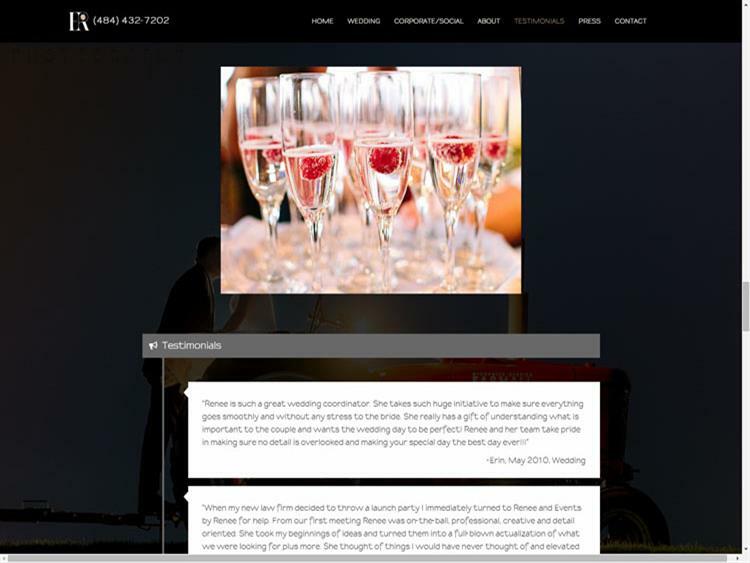 They came to Everest with a web presence already established but they were looking for a fresh, modern, mobile responsive site that would show value through imagery. Our web team developed a single page application making for easy viewership of the new website. Our marketing team met with Renee to aid in photo selection helping create a strong image presence. 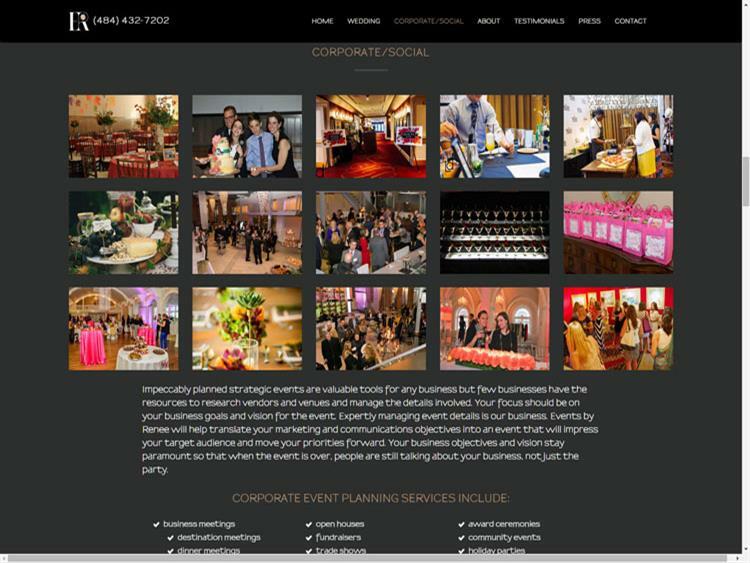 Strong image gallery that impresses future brides feeling confident to contact Events By Renee. This website is hosted in our Microsoft Azure cloud environment.